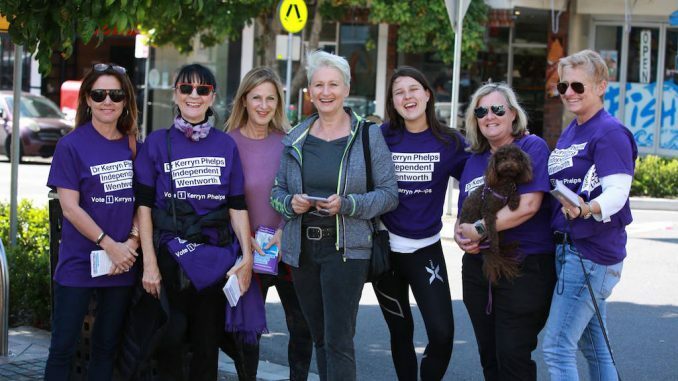 Five days after the much-hyped by-election, Independent Kerryn Phelps looks almost certain to become Wentworth’s new federal MP, although counting of pre-poll and postal votes will continue until November 2. The latest figures from the Australian Electoral Commission (AEC) show Dr Phelps leading Liberal candidate Dave Sharma on a two-party basis in the Sydney eastern suburbs seat by 1,643 votes, or by 51 per cent to 49 per cent (as of 11am, October 25). If the former Australian Medical Association president is declared victorious, as seems likely, Prime Minister Scott Morrison’s Coalition government will lose its one-seat majority in the House of Representatives. That will leave it reliant on Dr Phelps and five other cross-benchers – Adam Bandt (Greens, Melbourne), Andrew Wilkie (Independent, Denison), Cathy McGowan (Independent, Indi), Rebecca Sharkie (Centre Alliance, Mayo), Bob Katter (Katter’s Australian Party, Kennedy) – to get legislation passed, and to survive any potential no-confidence vote. With only three sitting weeks remaining in the parliamentary calendar, a no-confidence motion is unlikely this year. In any event, such a motion would require at least one Coalition MP to cross the floor, in addition to being supported by all Labor MPs and all six cross-benchers, for an early general election to be triggered. In what will be a nail-biting coming week for both Phelps and Sharma before the final outcome is announced by the AEC, questions are also being raised about Phelps’s eligibility to continue serving as a City of Sydney councillor.